Home » Credit Damage » Credit Damages – Have They Occured? One of the most common questions I field in my credit expert witness work is whether or not credit damages have occurred. It’s a fairly simple question, but the answer is never quite as easy. First off, does a lower credit score as a result of credit reporting equate to credit damages? 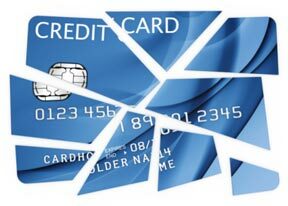 If the consumer loses access to a credit card because of credit reporting, have they been economically damaged? What if the account didn’t have a balance and the consumer Plaintiff had access to another credit card? 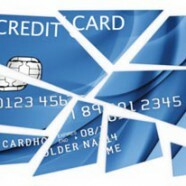 One of the great unknowns in the world of credit expert witnesses is the credit damage value of a lower credit score. If your FICO score dropped from 750 to 700, what’s that 50 point drop worth? There are no studies that quantify the value of a FICO score point so it’s not as simple as saying “1 FICO score point is equal to $1,000 of mortgage damage.” Don’t get me wrong, there are certainly reasonable ways to quantify credit damages resulting from a lower FICO score, but who is qualified to perform such a task? Do you have to be an economist? Do you have to have spent time at FICO and have an insider’s understanding of how FICO scores work? There is a small collection of self proclaimed credit “expert” witnesses who have convinced Plaintiff lawyers that they’re really an expert on the topic of credit reporting, credit scoring and credit damages. However, when reviewing their expert reports and damage assessments they’re really nothing more than a collection of erroneous information about the topic and a half baked attempt at quantifying damages. I’ll give you a real example…if you apply for an apartment lease and that lease would cost you $1,000 per month and that lease is denied…how much have you been damaged? Add to that the fact that you applied at three apartment complexes for the same lease terms. Have you been damaged some amount, times three? There are experts who will assigned $36,000 as damage to this specific scenario ($12,000 per year in lease payments x 3 denials). While their logic is easy to understand, it would be difficult to convince a judge or jury that the consumer was entitled to free housing at three separate apartment complexes for a period of 12 months. How would you quantify the credit damages in that scenario?